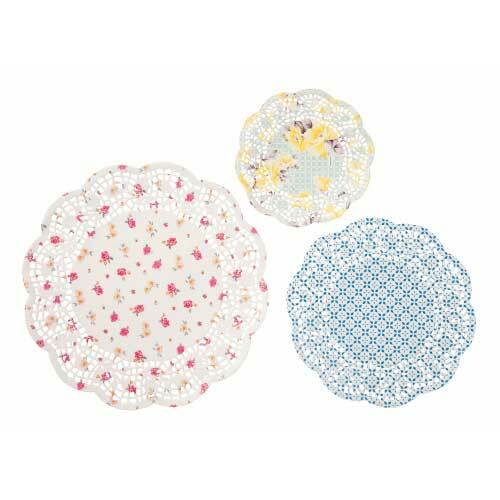 Use pretty paper doilies to decorate your cake plates and party platters. Rather than the icing on the cake, doilies are the foundation for the cake. 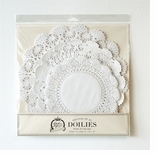 Doilies come in all shapes, sizes and materials. 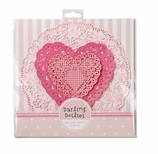 We love paper doilies that look like lace doilies or crochet doilies because they are disposable and so so decorative. 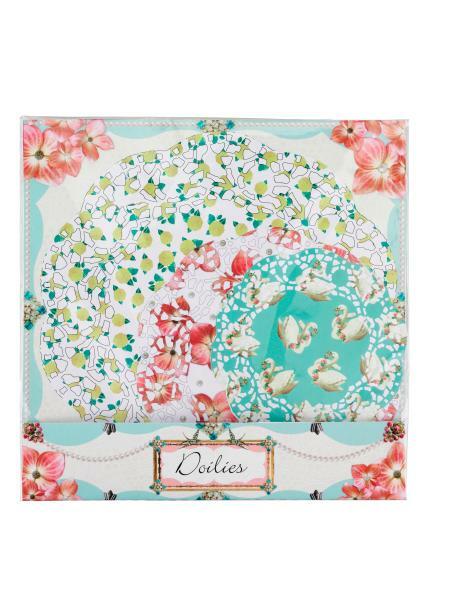 Paper doilies in bright colorful hues are a wonderful way to update old-fashioned lace doilies. If it weren�t for paper doilies, doilies might be a thing of the past. There are those of us who wouldn�t want to have to launder lace doilies, but are so happy to have paper doilies. 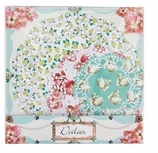 In the UK, there is even a �Save Our Doilies� campaign. Like paper placemats, paper doilies are a wonderful invention. 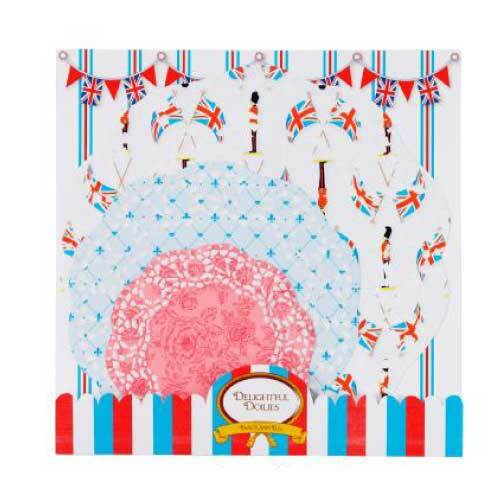 We�ve collected a plethora of paper doilies in all sizes, shapes, colors and designs! Choose the doilies that you like and use them for your party decor, birthday cakes, wedding party supplies�. You don�t have to be the nostalgic type. These modern paper doilies are not your grandmother�s chochet doilies. 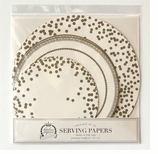 Paks of paper doilies for party decorations. 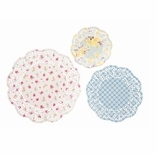 Choose the doily pattern, shape, size and color of your choice. 30 assorted doilies: 8", 10", 12" inch. Ten each size. 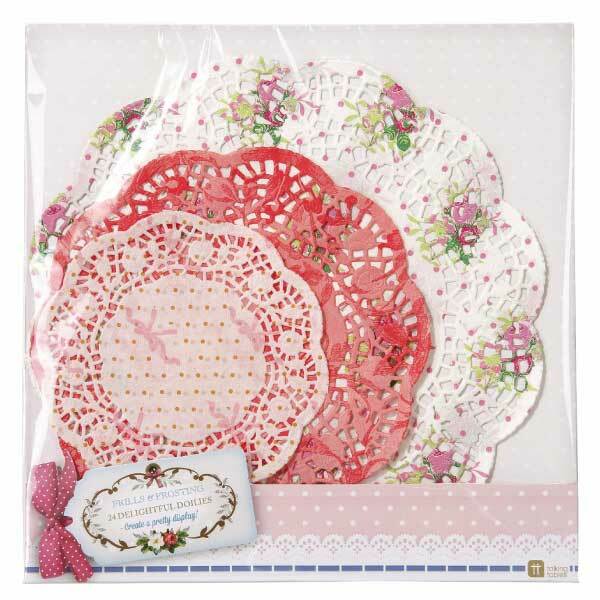 It�s always good to have a stash of paper doilies on hand. You never know when a guest will bring you a cake. Like birthday candles, paper doilies are just one of those quintessential party supplies, you cannot afford to be without. Doilies can be party decorations for almost any holiday. Use paper doilies for romantic Valentine�s Day dinners, Thanksgiving table decor, holiday cupcakes, birthday cakes and more. You can use paper doilies for scrapbooking and just for everyday desserts. Think of paper doiles as must have cake decorating tools for birthday cake decorations, wedding cake decorations and more. Cake decoration is an art. Paper doilies make party decorations really special. They are one of the best cake decorating tips we know. 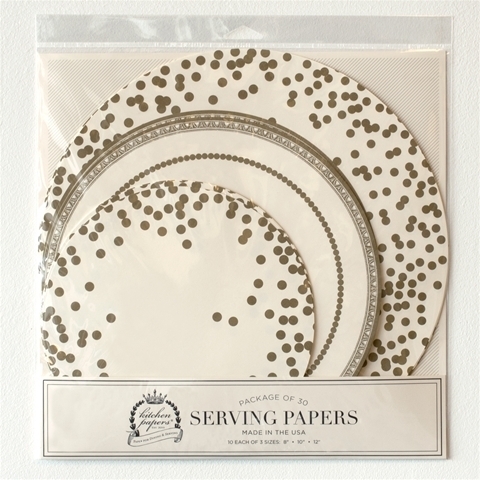 Gold paper doilies are every bride�s dream. They are simple wedding party supplies that add just the right formal touch. Gold doilies are the perfect touch for holiday table decor too. Who wants a naked platter? Look no further. You don�t have to dream. Our gold doilies are for real! Queen Elizabeth has used doilies to wrap her posies. Paper doilies are fun to wrap around the bouquets of bridesmaids and flower girls or even the bride�s bouquet. Having a tea party or a bridal shower? 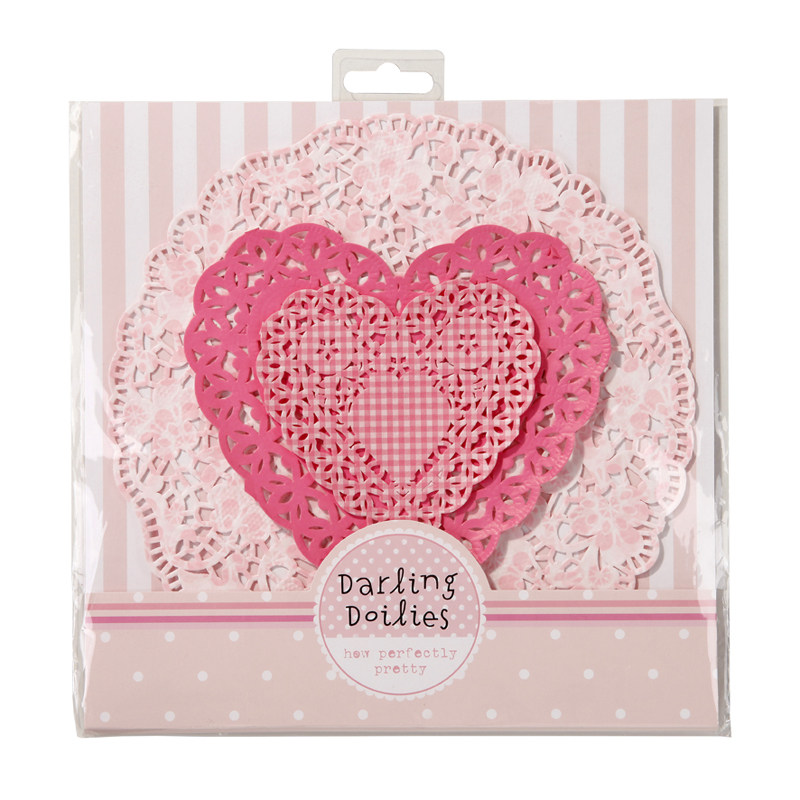 Our pink paper doilies are so feminine! Brides, bridesmaids, and even mother in laws are sure to comment. Mixing up paper doilies in many sizes on a platter can be fun too. 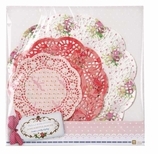 You can have a patchwork of doilies on your party platters. 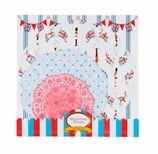 You can carry out the party theme with lace tablecloths or vinyl placemats that have a lace look. You can find vintage white lace doilies on ebay but disposable paper doilies are so much easier to use, we�re not sure why you would want to. In the old days, lace doilies were mostly white, today we have paper doilies in all sorts of cool colors and designs that look like lace or crochet doilies. 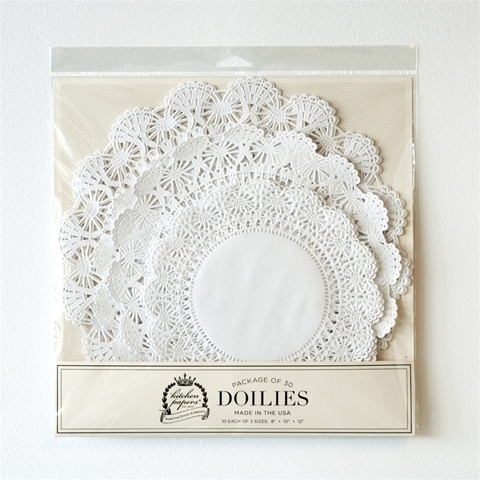 Doilies were said to be invented in England in the 17th century. 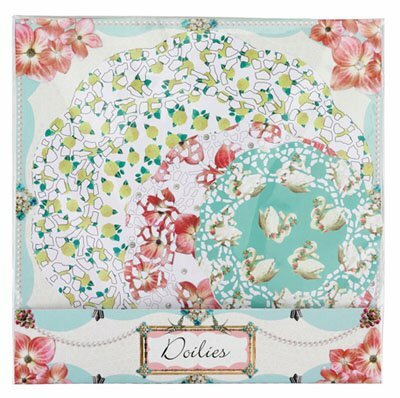 We�ve come a long way since then but doilies are every bit as lovely these days. Paper doilies work much better for today�s more casual lifestyles than real lace doilies or crochet doilies.